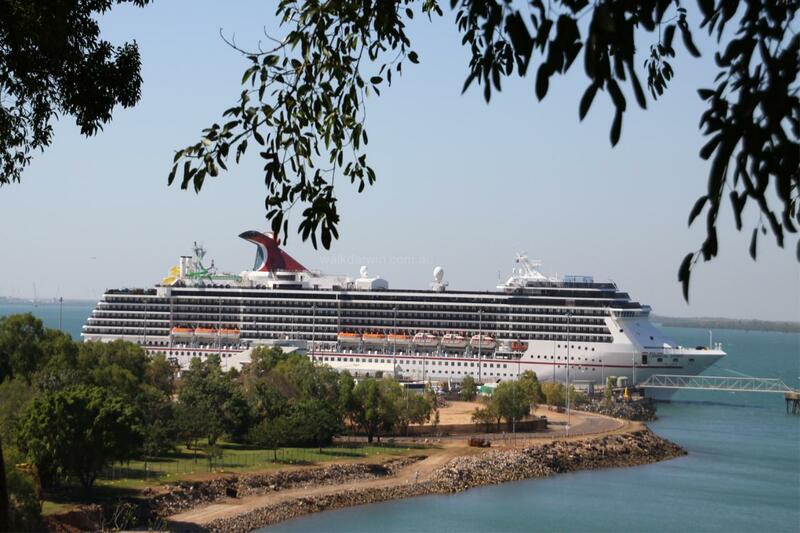 This relaxed walk starts at the Cruise Ship Terminal (Fort Hill Wharf) and departure time is dependent on the scheduled arrival time of each ship. You'll walk through the Waterfront Precinct home to Darwin's Convention Centre, the popular Wave Pool and historic Stokes Hill Wharf, on our way into the city centre. Our guides cheerfully share their passion for the town they call home and will tell of the history of the World War II bombings and Cyclone Tracy. Discover many of the remaining buildings such as the old Court House and Police Station, Browns Mart and the Old Palmerston Town Hall ruins, all of which have been painstakingly reconstructed. View Government House, Parliament House and the Northern Territory Supreme Court on our journey through the streets of this modern tropical city. Your tour will conclude at the Visitor Information Centre where shuttle buses depart regularly back to your ship or you can walk back following the pathway along Smith Street. Explore with a local and truly experience Darwin, Northern Territory. ~ A level of fitness is required on this tour as there are not many places where you can stop, sit and rest. ~ This tour requires a minimum of 2 paying guests to operate and the group size is 10. ~ The tour may not be available on your ship's port call to Darwin, however, you may find one of our other tours works well with the timing.